I just rolled through my opening round matchup against a very good Murawa squad. Not many people have beaten John Wooden (DO NOT ASK DIGGER PHELPS ABOUT THIS or you’re liable to get enough highlighter to get four engineering, three pre-med, and eight law students through college) but Team PacHoops handled this group who at least had their socks on just right. The Thunder kids (Westbrook and Harden) still couldn’t handle the likes of an Arizona backcourt. Ok, ok so those two were a combined 9-0 against the ‘Cats but Bibby and Dickerson flashed their rings while the Stoudamire family smoked them out rained threes and ran circles around beard-o and Sir-Shoots-a-lot. Jason Terry couldn’t crack the starting roster while up against Bibby and Dickerson and this time he couldn’t crack the lane with them locking down. The game was never close so Tyus Edney never had a chance to pull-a-Minnesota and was rendered irrelevant. If you ask me, when the draft was over, I had compiled the most complete team. Amongst the eight total fantasy squads mine has it all: a Hall of Fame coach, conference POYs galore, NCAA Champions, lottery picks, you name it Team PacHoops has got it. It’s a group that could beat any team whether they wanted to run, slow it down, zone, press, whatever. Buckets for days and defensive disruption for eons. And so now it begins. The first round of the Pac-12 Fantasy Draft voting has begun and my squad has earned the two-seed and the chance to tip off against Andrew Murawa’s group (the seven-seed). A chicken with its head cut off. That’s how we describe things that run amuck and things that don’t work right. You can piece together the best talents around for a team but without some direction, sans leadership, short of guidance they become, well, a chicken with its head cut off. Home: Chanute, Kansas. Chanute HS. So here’s a guy who won everywhere he went. 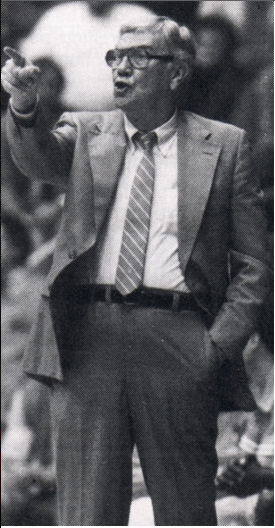 Coached at three schools over thirty-eight seasons and had just four losing seasons. But losses are irrelevant when talking Ralph Miller because he was a winner. People don’t name courts after losers and so they named a court after Ralph Miller. And here’s one of my favorite Ralphies (that’s what I call stats about coach): he won the conference COY award and then retired. Everyone loves it when the greats go out on top as Miller did and he’s owed daps for that. Don’t beat a dead horse. When it’s over, it’s over. Winner. Oh, and he’s in the Hall of Fame. Who doesn’t like a good big man? He’s going to be endearingly awkward, certainly with all those moving parts there’s going to be elbows and knees abound; but when it comes together, when the knees spring upward and the elbow flexes to put a ball into the fourth row, then he’s just the man. A difference maker because not everyone is seven-feet tall. You can’t teach that. I can run up and down the court dribbling four basketballs and purchase whatever the basketball equivalent of a Tom Emanski video is but I’ll always be whatever height I am. Home: Winnepeg, Canada. Shaftesburg HS. Seven footers don’t come often and they don’t always average double doubles. They also don’t always win pinball championships and if you’re sick of me touting this fact about the big Canadian then you don’t get it. Did you see King of Kong? The world of arcade games is serious business and as competitive as it gets. Mac has won on multiple levels and multiple mediums and I wanted winners on my team. Got ’em. Home: Fresno, California. Santa Monica Catholic HS. Tragedy beset the cordial big who did as he pleased and retired to greener pastures but that unfortunate end to his life won’t define Bison Dele. He changed his name to Bison. He retired at the age of 30 and walked away from the rest of his five year deal worth upwards of $35M. Sometimes there are bigger fish to fry and I welcomed a little life perspective into the PacHoops lineup. The biggest kids usually end up on a block and the smaller kids wind up being developed into point guards and off guards. A good portion of your basketball career is defined by what your momma gave you. But what if mom gave you the size of a big and the moves of a guard? What if you were, I dunno, the complete package? That’s what I was looking for when I picked my forwards. Allow me to tell you about it. You always hear about how keeping local talent is imperative to a program’s success and it is. Never has it meant more to a program than Sean Elliott staying in Tucson to play for Lute Olson. The greatest prep player ever out of Tucson is arguably the greatest player ever to come out of the UofA. Oh, and he’s also the first major athlete to ever return to action following a kidney transplant. He literally could do it all: score, defend, board, and outlast his own career trajectory. Gamer. When you play for the most storied program in college basketball history where there are ten championship banners hanging from the rafters of your home gym and when it’s been twenty years since the last banner was hung you need a hero. Enter: Ed O’Bannon. But the long forward not only took on the ghosts of Bruins past in earning his national title, he’s also come to battle the NCAA. He filed a lawsuit claiming the governing body everyone loves to pick apart has been wrongfully profiting off the images of the players they “educate” even beyond their graduation into non-amateur status. Dude’s got a point. Trial is pending. So here you have the only one and done on Team PacHoops and subsequently the first ever freshman POY in conference history. And did you know he also managed to maintain a 3.5 GPA at Cal? I coulda told you he was smart for moving from Georgia to the Bay Area but to put up those kinda number in the classroom just seals the deal. And now, in his current role as the Sacramento Kings assistant GM, I choose to believe he’s always the dissenting opinion on all player personnel decisions. My man. Recruiting – The future of the program is running up and down rinkadink gyms (or NBA player camps) and men who make millions of dollars a year will sit in said gyms and try to make teenagers wanted. We, on the other hand, scour for every bit of news on where these pimple faced athletes will someday take their talents and we’re left having to explain that our bad mood is because a 2015 kid from the other side of the country listed our school sixth and not first or second when he cut his list to twelve. Normal. Reminisce – Be it the failed jumper at the horn or conference championship that didn’t turn in to a tournament appearance or a late season run or a recently departed senior’s career there’s a lot left to think about when the arena goes dark. There always seems to be that moment in a season you can’t shake from your psyche, for better or worse. Whichever of these conversations you prefer, we’re completely needing out because there really is nothing tangible going on (aside from a few verbal commitments). That’s alright. I’m a college hoops nerd and I’ll admit that. And I’ve chose to assuage my hoops withdrawal via option three (although I incessantly refresh recruiting sites and scour for news on current rosters; say, does anyone know if Josh Smith hit the gym?). I joined a Fantasy Draft run by the great minds at Rush the Court’s Pac-12 Microsite, Andrew Murawa and Connor Pelton. These fellas organized eight writers into the Pac-12 Fantasy Draft. The rules were simple: any player on any Pac-12 roster from any year was eligible to be drafted; each team had to have four guards, four forwards, two centers, and a coach. There were no trades and a lot of banter. Here’s what they had to say after Round One and here’s the rest of the draft. 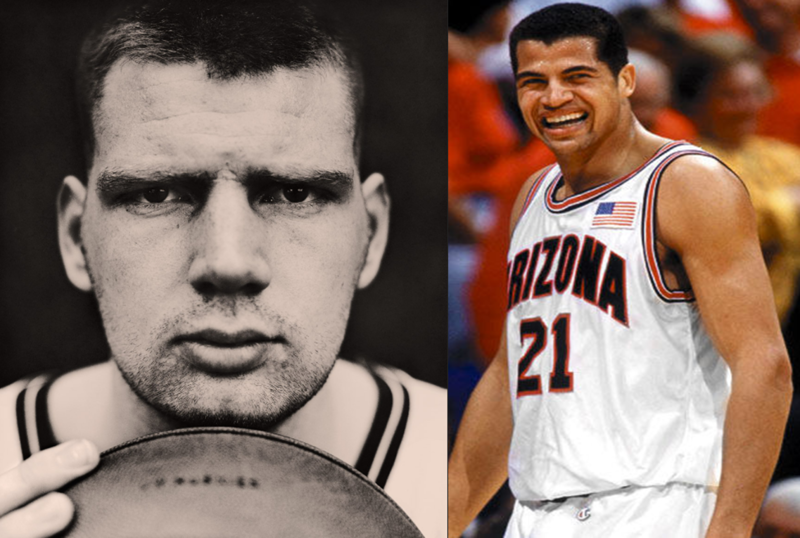 Soon, Team PacHoops will make their debut on the microsite and I’ll be asking for your votes for the greatest Pac-12 Fantasy team ever compiled. I’ll walk you through my roster in the coming days but know that it’s great.